Stalinism was a political system established under Stalin that was the “antithesis of Western democracy” (Fitzpatrick, 357). Its rise (and success) derived from multiple events, programs and individuals throughout the early to mid-twentieth-century. From the time of Vladimir Lenin’s death in 1924 to his demise in 1953, Stalin controlled the Soviet Union through an exploitation of political opponents (and allies), and through a relentless drive for absolute power. His policies, in turn, dramatically transformed Russia for years to come. By proclaiming that his party would continue to follow Lenin’s path in the future, Stalin was able to implement his own totalitarian style government through collectivization, political purges, and the use of terror. 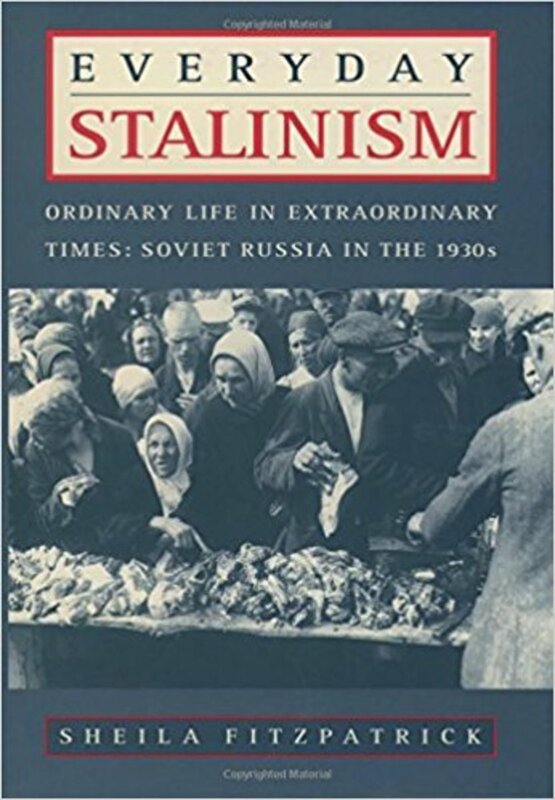 Ironically, Stalin’s new policies proved to be highly successful; leaving in his wake a social, political, and economic atmosphere that was difficult to undermine in the decades that followed his death. Stalin’s Soviet Union was a product of both ideology and circumstance (Sources of Soviet Conduct, 566). The threat of civil war and foreign intervention – combined with the fact that communists only represented a small majority of the people throughout Russia – all necessitated the need for a dictatorial and absolutist regime to maintain stability in the Soviet Union (Sources of Soviet Conduct, 568). Stalin believed that stability could only be achieved once power was secured and unchallengeable. In the years that followed Lenin’s death in 1924, power remained up for grabs in the Soviet Union. The debate over who would be Lenin’s successor was underway with many members of the Politburo vying for leadership of the Soviet Union. Stalin, who was considered the weakest candidate for ruling Russia after Lenin, knew that he would have to use his office of General Secretariat to begin promoting those who were loyal to him, and to remove those disloyal to his policies if he was to ever take control of Russia (Marples, 70). 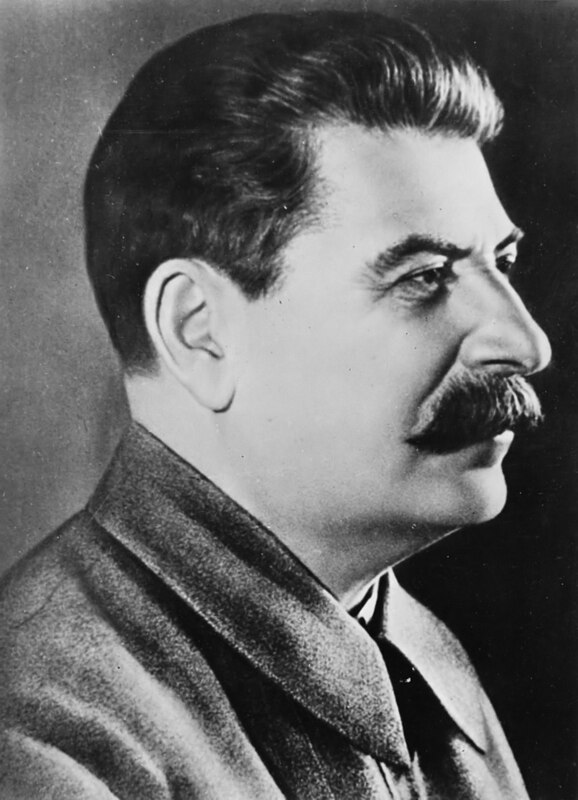 In addition to placing prominent political figures into key government posts, Stalin also used his position in the Soviet government to collect information about party members; information that he would later use against them. Emerging from a weak political position, Stalin relentlessly attacked prominent Communist Party members such as Leon Trotsky, Zinoviev, and Kamenev. 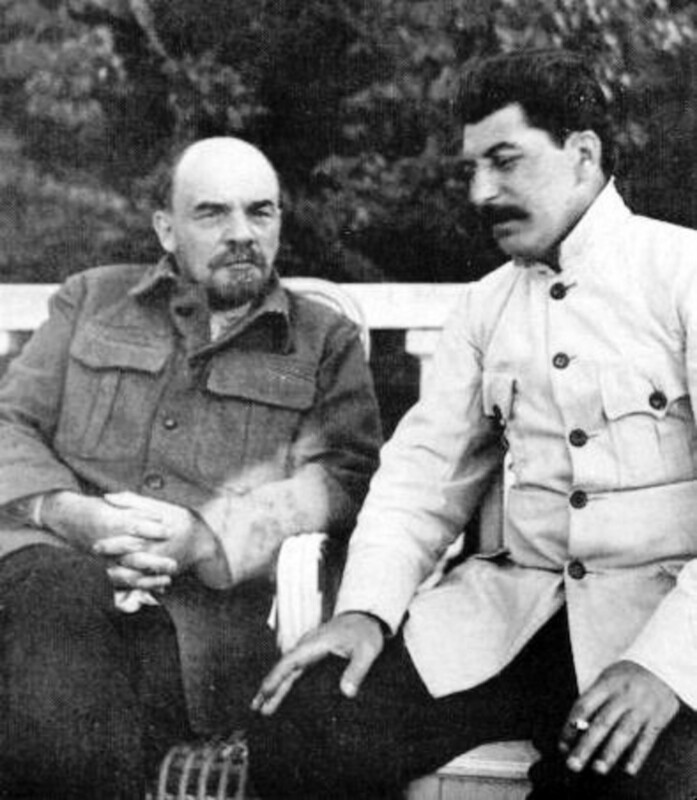 While many of Stalin’s attacks were unfounded accusations, Stalin, nevertheless asserted that Trotsky and his followers in the Politburo were a dangerous threat to Soviet society. Trotsky, Zinoviev, and Kamenev, who had once viewed Stalin as their ally, were then faced with the daunting task of unseating Stalin (Marples, 73). In a desperate attempt to remove Stalin, Trotsky, Zinoviev, Kamenev decided to form a “United Opposition” against Stalin which would prove to have disastrous consequences. By the time of the Fifteenth Party Congress in 1927, the ill-conceived plot to remove Stalin would be crushed. The Congress, which was heavily influenced by Stalin and his supporters, issued a decree “On the Opposition” which stated that the dissidents were “open enemies to Soviet authority and had adopted Menshevik and counter-revolutionary ideas” (Marples, 75). Trotsky, Zinoviev, Kamenev, and seventy-five others were expelled from the Communist Party as a result. As a result, Stalin was, essentially, free to rule the country now that the other candidates had been removed. Collectivization and "The Great Purges"
With Trotsky, Zinoviev, and Kamenev gone, Stalin was able to quickly usurp control of Russia by 1928. Following the failures of “War Communism” and the small-scale “capitalist” ideas of the New Economic System (NEP), Stalin decided to begin implementing a series of “Five Year Plans” that abandoned NEP policies and emphasized heavy industry, construction of railroads, power plants, steel mills, and military equipment/hardware (Marples, 103-104). Unlike Lenin, Stalin’s most pressing need was not world revolution but rather rapid expansion and/or a buildup of Soviet power through industrialization. To Stalin, Russia could not risk the threat of total annihilation again as it had done during the First World War and the Russian civil war that had followed. Modernizing Russia was the only way, according to Stalin, to secure the Soviet state (Sources of Soviet Conduct, 569). Stalin also realized, however, that securing and maintaining control of a Communist state would require the complete dissolution of capitalism which, according to Stalin, corrupted society and fueled opposition forces. Once capitalism was eliminated, Stalin believed that Russia could then focus its attention to the external threat posed by capitalism (Sources of Soviet Conduct, 569-570). Stalin’s entire revolution, therefore, was a radical departure from traditional Bolshevik thinking that called for world revolution. 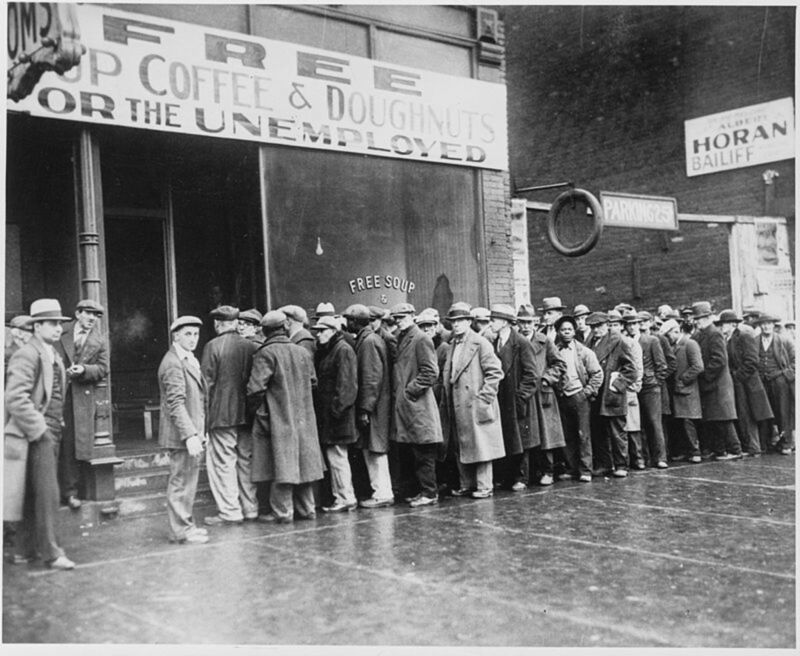 Following the grain crisis of 1927, Russia was in dire need of food. Facing famine, the Fifteenth Party Congress of 1927, under Stalin’s influence, decided to begin collectivizing agriculture in an attempt to avert the crisis. Under collectivization, peasants would have to fully submit themselves, their livestock, and their crops to the government. This “pooling” of farmlands, animals, and equipment sought to create a more efficient and large-scale form of agricultural production in order to supply agricultural products for the cities (and for exportation) (Ellison, 190). Collectivization under Stalin would solve the grain crisis to a certain extent, but would have tremendous consequences for the peasantry. This “socialization of agriculture” under Stalin would destroy the independent peasantry and create huge “agricultural factories” in an attempt to meet agricultural production needs (Ellison, 191). Furthermore, since industry was heavily dependent upon funds from agricultural production, industrialization was helped tremendously in the process as well. Stalin’s collectivization program, therefore, would largely be hailed as a success. Aside from the positive aspects of collectivization, however, Stalin’s new “socialization of agriculture” also had a tremendous dark side to it as well. Collectivization, ultimately, led to the “liquidation of social-classes” throughout the Soviet Union through deportation, and through a series of purges and/or executions (Kimerling, 27). 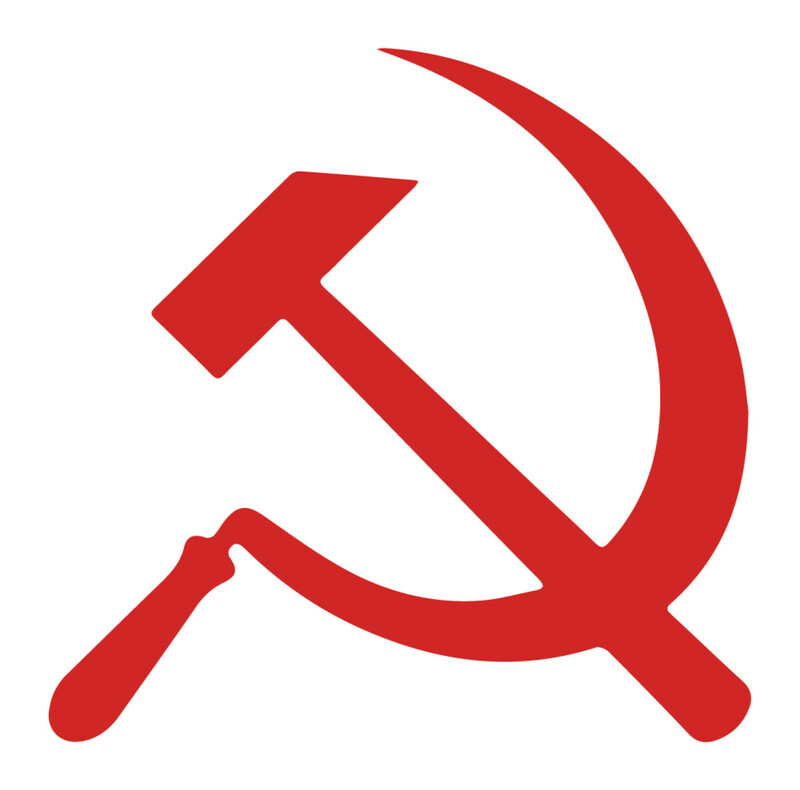 The Kulaks, for example, who were considered a bourgeois class throughout Russia, were largely exterminated during the implementation of collectivization. Stalin’s war on capitalism not only resulted in the death of thousands of Kulaks, but also the deportation of millions of peasants to forced labor camps called Gulags. Because many peasants refused to go along with the ideas of collectivization, millions of Russians died as a result of execution and starvation (due to famines) that resulted from their defiance between 1931-1933 (Marples, 98). By 1935, Stalin had completely wiped out Kulaks as a class in Russia and all farming throughout the Soviet Union was collectivized. Even peasants who had once rebelled, now submitted to government control. This victory in collectivization would result in unspeakable hardship for hundreds of millions of peasants throughout the Soviet Union countries for years to come (Ellison, 202). With capitalism completely destroyed in the Soviet Union, Stalin was now in a position to exert total control in Russia. Stalin’s next move would be to eliminate all opposition through a series of purges that resulted in the death of millions. In an attempt to control all aspects of Soviet society, Stalin quickly implemented government control over media outlets, literature, art, theater, and music across the Soviet Union as a means to force the Soviet population to conform with Soviet ideology. (Marples, 118). In addition, Stalin also realized the importance of controlling the Soviet youth, and began a series of reforms that aimed to rework the education system across Russia. Using propaganda, Stalin was able to effectively indoctrinate Russian citizens at a very young age in an attempt to create “dutiful and loyal citizens” (Fitzpatrick, 359). For the rest of Soviet society, however, Stalin resorted to the use of terror as a means to control the Soviet population. The Great Purges, as they were called, were quickly implemented by Stalin during the late 1930s to combat so-called “opposition” forces in Russia. In 1936, many of the original founders of the Communist party were ordered to be executed by Stalin for supposedly conspiring with the exiled Trotsky. Just one year later in 1937, Communists of Lenin’s era, along with nearly half of Russia’s military high-command, were executed or sent to the Gulag. Old Bolsheviks, engineers, scientists, industrial managers, scholars, and artists were among the Great Purges’ victims as well (Marples, 113). Purges, which had been an ideological aspect of the Bolshevik revolution from 1917 onwards, were a means of exerting total control through fear (Marples, 108-110). Stalin used this ideology extensively during his reign of power. As a result, Soviet citizens often avoided taking positions of responsibility/authority, and the country was, largely, deprived of natural leaders (Marples, 114). With the old Bolsheviks completely wiped out, Stalin was now in a position to exert unchallengeable, personal power. Stalin, however, in a grand political move to preserve his image among the people, dictated through the 18th Party Congress for the release of nearly 327,000 people in the Gulag systems. This attempt to bolster his own image would be highly successful as it allowed Stalin to maintain a personification of being both a wise and honest leader to the Soviet Union. "Death is the solution to all problems. No man, no problem." Complete and total control over the Soviet Union, however, would not be established under Stalinism until the events of the Second World War. For years, the Germans and Soviets had been at odds with one another. It wasn’t until the German-Soviet pact of 1939 that Germany and Russia began to fully cooperate with one another. However, because Hitler despised the idea of becoming too economically dependent upon the Soviet Union, the Wehrmacht ended these mutually beneficial relations in June 1941 (Schwendemann, 161). Through the enormous amount of trade between the Soviet Union and Germany, Stalin had committed a serious blunder that would prove to be extremely costly for Russia. Stalin, unwittingly, helped to strengthen the German economy in an attempt to avoid war with Hitler (Schwendemann, 169). Suffering enormous losses, the Red Army was overwhelmed by the power and strength of the German army’s advance. By the end of WWII, the death toll for the Soviet Union was enormous with millions of Soviet soldiers dead. Nevertheless, even this enormous death rate could not stifle the Stalinist regime. Instead, the Soviet Union experienced a dramatic increase in its prospective power, prestige, and influence in global affairs (Chamberlin, 3). The powerful and prestigious Red Army was largely responsible for this. 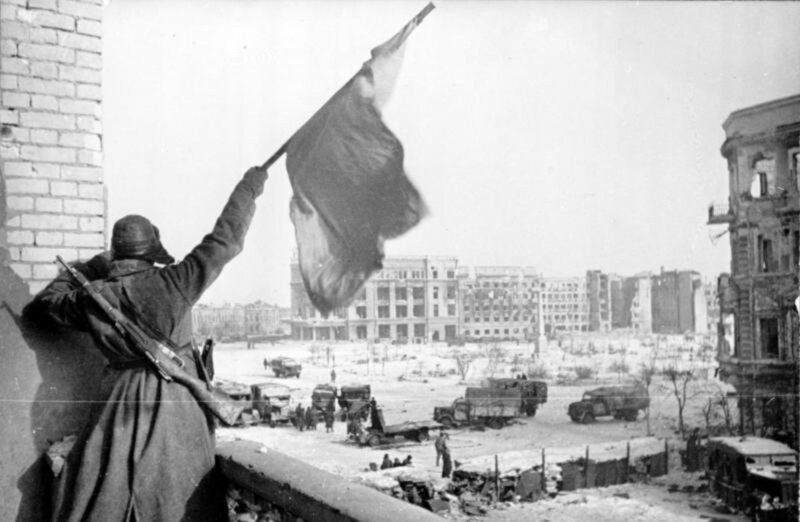 Against insurmountable odds, the Red Army had defeated one of the most powerful armies in the world. The Red Army had become, essentially, a center for nationalism within the Soviet Union. These heroes from the Soviet-German War would certainly maintain a “strong voice in determining Russia’s future” (Chamberlin, 8). Realizing this newfound power, Stalin quickly capitalized upon the Red Army’s success through both militaristic and political moves. 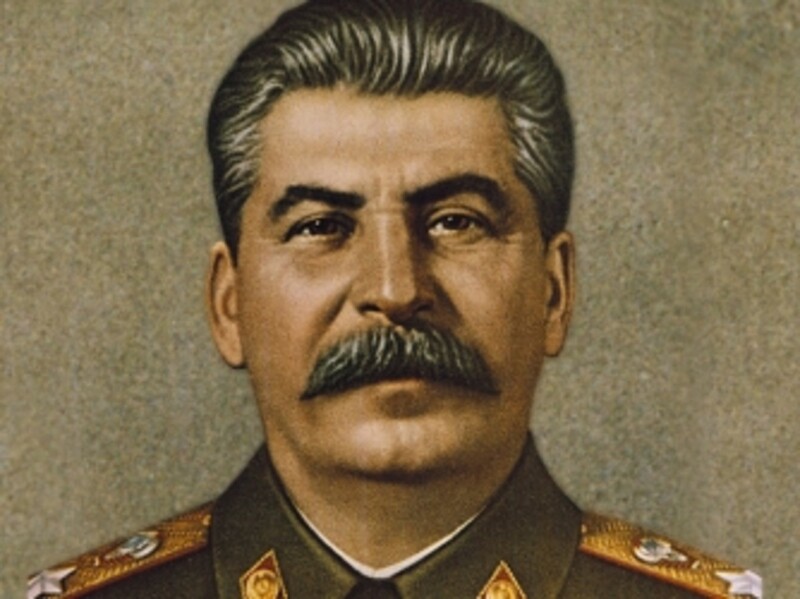 Hailed as a hero for pushing the Red Army so vigorously during the war, Stalin had finally implemented the unchallengeable dictatorial style government that he so greatly desired. From that point, it was abundantly clear that the Soviet Union was destined to play a prominent role throughout the entire world (Chamberlin, 9). In conclusion, Stalin’s rise to power was not inevitable but rather something that happened through pure circumstance. Following the death of Lenin, nobody would have ever believed that Stalin would be able to take control of the Soviet Union. Stalin’s decisiveness and relentless pursuit of power allowed him to implement a system of government that would dominate Russian policies for many years. Were you aware of the facts behind Stalin's rise to power? David Marples, Russia in the Twentieth Century (Pearson Education Limited, 2011). Elise Kimerling, Civil Rights and Social Policy in Soviet Russia, Vol. 41 No. 1 (Blackwell Publishing, 1982). Heinrich Schwendemann, German-Soviet Economic Relations at the Time of the Hitler-Stalin Pact, 1939-1941, Vol. 36 No. 1 (EHESS: 1995). Herbert Ellison, The Decision to Collectivize Agriculture, Vol. 20 No. 2 (American Slavic and East European Review, 1961). Sheila Fitzpatrick, New Perspectives on Stalinism, Vol. 45 No. 4 (Blackwell Publishing, 1986). The Sources of Soviet Conduct, Vol. 25 No. 4 (Council on Foreign Relations, 1947). William Chamberlin, Russia After the War, Vol. 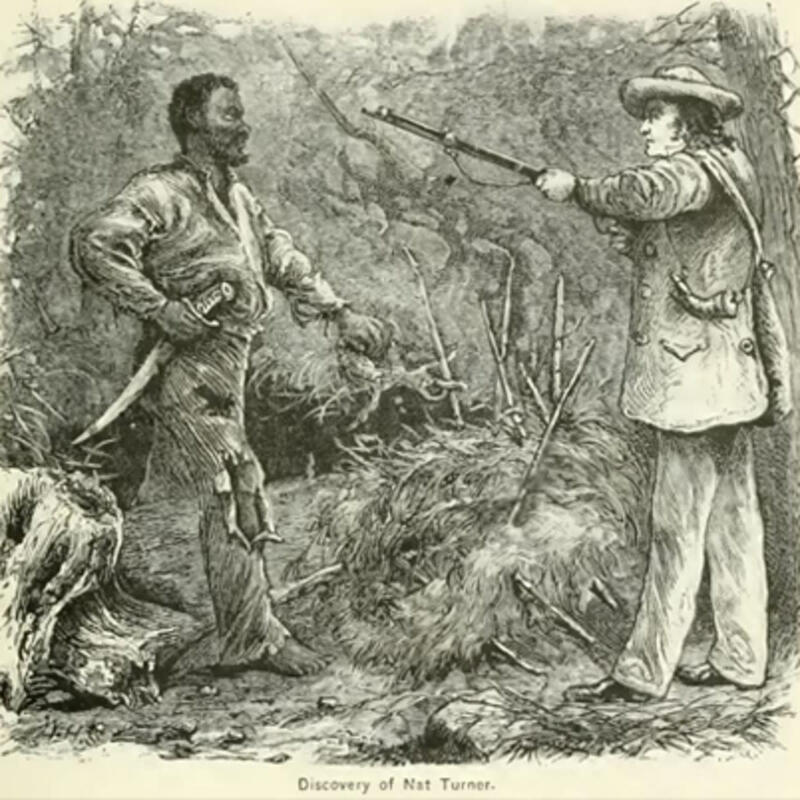 3 No. 2 (Blackwell Publishing, 1944). Review: "Everyday Stalinism: Ordinary Life in Extraordinary Times"
@Poppy I totally agree. 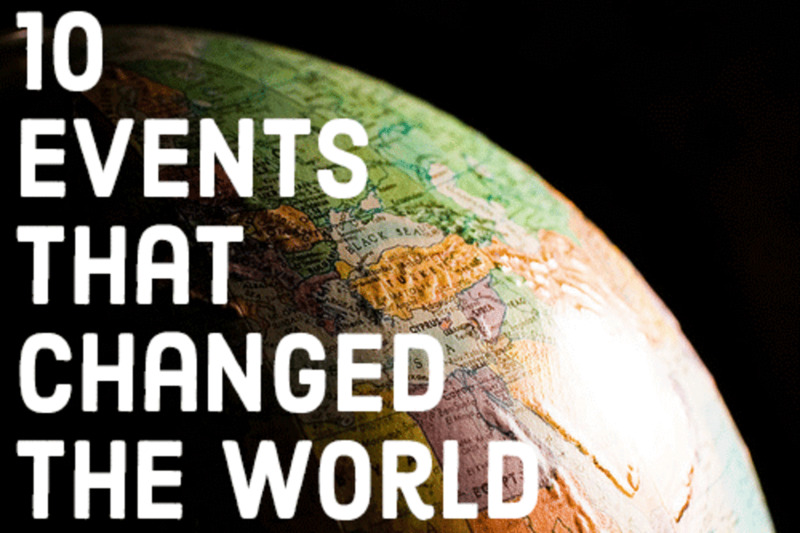 For some reason, teachers tend to ignore some of the darker figures of history. But I feel as though knowing about the evil they committed is necessary for people to know about (so that we can avoid letting people like Stalin rise to power). We should be learning more about Joseph Stalin in school; I hadn't even heard of him until A-Level history class. I have read your article witb great interest. The Stalin I am familiar with is the one of the sscond World War. I hadn't tealised how he came to power.